As I've progressed throughout this series, I've given only quick examples of details in my world, while leaving the major items to your imagination. This article take a very brief look at Coppis, a city with a waterfall running through the middle of it. 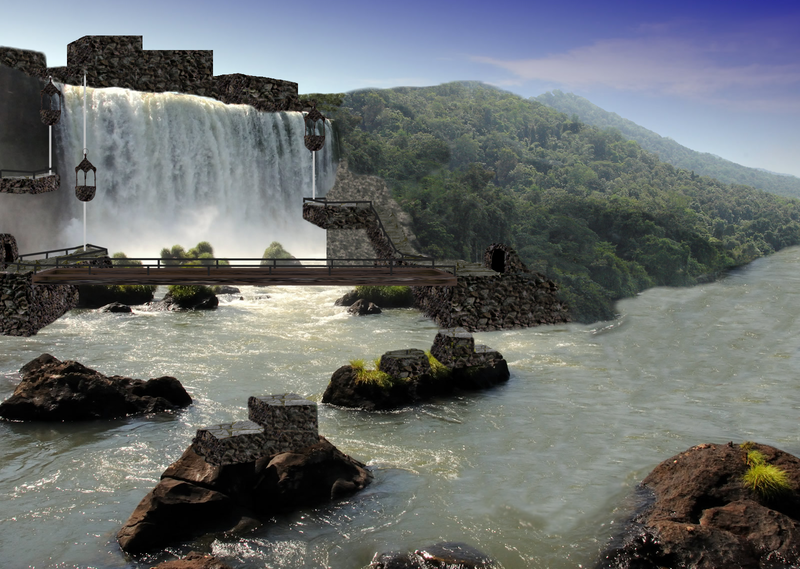 I envisioned a city that had layers of rock facades, jutting out from the around the falls, and baskets of some such that would be used to transport supplies to the bottom and continue their journey towards Yggsburgh. In this case, a party arriving by land from the upstream side of the falls could wind their way down through the city, and come out below, where they would pass through a short tunnel and into Garroting Deep.